WRITING THE LIFE story of an accomplished author and biographer is daunting enough. In the case of Virginia Woolf, that fear is amplified by the fact that she herself spoke so clearly of what made a biography succeed: “the record of the things that change rather than of the things that happen.” Additionally, Woolf is already the subject of multiple accomplished “lives,” most notably the comprehensive biography by Hermione Lee. Published in 1996, Lee’s book was noted for its thoroughness and heft: it placed the reader entirely in Woolf’s world, from the décor of her childhood home to the complicated relationship she shared with the written word. To embark upon Alexandra Harris’s comparatively slender biography of Woolf thus feels almost like an exercise in futility. What could one read about Woolf in Harris’s biography that Lee had not already unearthed and unfolded? Harris’s aim is straightforward: “It is meant as a first port of call for those new to Woolf and as an enticement to read more.” She also hopes that it will “set off a few fresh ideas (or arguments) in readers long familiar with the material.” This narrow focus serves her well, and Harris’s biography actually enhances our overall understanding of Woolf’s work and life. The text does not attempt to determine exactly who Woolf was. Instead, like Woolf herself, Harris paints a wonderfully smudged portrait of the author, one that feels fresh from every angle. Harris says that “much of Woolf’s writing life was devoted to … exposing the falsity involved in defining anyone as ‘this’ or ‘that’,” and Harris admirably avoids this easy tendency. Her Woolf is not a lesbian, or a modern, or a depressive; she is not a snob, or a pedant, or a feminist. She is, instead, a woman writer of such singular character that one cannot reduce her to labels. Born in 1882 to Leslie Stephen, a noted man of letters and the editor of the Dictionary of National Biography, and Julia Stephen, an artists’ muse and devoted wife, Woolf’s early childhood was conventional. Upper-class, although not aristocratic, the Stephen household was lively and intellectual, filled with the eminent writers of the late eighteenth century, including James Russell Lowell (who served as Virginia’s godfather), Thomas Hardy, and Henry James. Woolf’s earliest memories, which also served as her most important and influential touchstones, revolved entirely around the sense of safety bestowed by her nurturing if somewhat distant mother. Her mother’s death—Woolf was thirteen at the time and subsequently suffered a nervous breakdown—was followed by the death of her half-sister (and mother figure) Stella two years later, sexual molestation at the hands of her half-brother Gerald, and eventually, in 1904, the death of her father. These tragedies would forever inform both her inner life and the inner workings of her characters. Left to their own devices, and determined to make their way among the intellectual young men of the day, Virginia and her sister Vanessa made the rather risqué move of residing in a large house in Bloomsbury with single young men, including their brother Thoby, John Maynard Keynes, and Virginia’s future husband Leonard Woolf. This decision proved decidedly beneficial to her intellectual development. Woolf’s professional writing began in 1904, when she published a sketch of her visit to Haworth—the home of the Brontë sisters—in the Guardian. She then embarked on a highly successful career as a reviewer and an essayist, finally producing her first novel, The Voyage Out, in 1915. With the release of each new novel, Woolf’s critical reception intensified and her popularity steadily grew, although she achieved notoriety more for her famous essays than her cutting-edge novels. Along with her friend T.S. Eliot and her acquaintance James Joyce, Woolf pioneered the techniques of stream of consciousness, crafting novels that gradually morphed from straightforward realism (The Voyage Out, Night and Day) to adventurous experimentation (Mrs. Dalloway, To the Lighthouse) to a kind of extreme modernist lyricism (Orlando, The Waves, Between the Acts). The bibliographical details of her career are not all that make Woolf’s life interesting. Along with Leonard, she founded the Hogarth Press, which eventually published both The Waste Land and Ulysses. She counted among her friends those former Bloomsbury roommates, along with Katherine Mansfield, Ethel Smyth, E.M. Forster, Lytton Strachey, Roger Fry, and Duncan Grant. Virginia travelled extensively throughout Europe, particularly in France and Greece. In addition to her nurturing, loving relationship with Leonard—she said in her suicide note that he had given her “the greatest possible happiness” and that she did not believe that “two people could have been happier”—Virginia also fell deeply in love with Vita Sackville-West and maintained an invigorating intimacy-turned-friendship with her for nearly the entirety of her adult life. She lectured on, studied, and critically assessed some of the most important literature of the first half of the twentieth century, and she defined a new standard for a productive feminine life in A Room of One’s Own. It was a life well lived, though blighted by her perpetual mental instability, which at times emotionally and intellectually crippled her; this “madness” also led to her suicide in 1941. Though its nature does demand a certain breathless pace, Harris’s biography deftly touches on all these points. She avoids the familiar ancestral wander down memory lane, and instead immediately dives into Woolf’s birth and childhood, a wise decision when one seeks to offer only a primer. Harris includes or omits details cautiously, using a familiar chronological route but never bogging herself down in the minutiae. But, luckily, Virginia Woolf does not read like a middle-school guide to Famous Dead People. Harris focuses on the curiosities and musings of a young writer in progress; she ignores the biographer’s tendency to demarcate a life neatly. 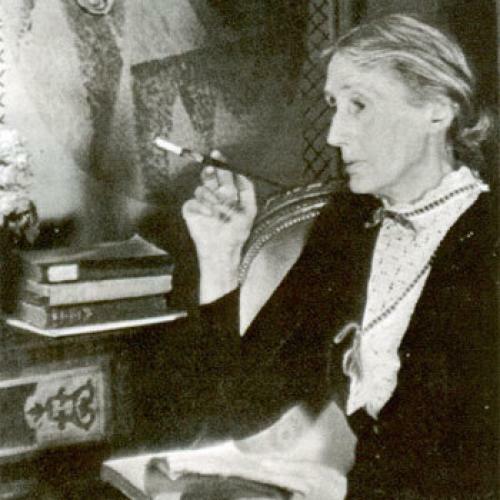 About the progress of her fictional writing, Harris says that Woolf was “feeling for the significance of unremarkable things, knowing that emotion accrues in places you might not at first suspect.” She goes on to provide similar insights into Woolf’s developing craft, explaining how she “worried about her central character” in Mrs. Dalloway and “couldn’t feel the sizzle” the Modernist painters felt. Harris’s willingness to examine Woolf in development and not purely as a finished product lends her writing the feel of an insider, not an observer. Significantly, Harris pays careful attention to the particularly difficult time in Woolf’s life after her sister Vanessa had married Clive Bell and before Virginia’s own writing career took off. It is a segment of Woolf’s life that it is tempting to ignore. She had not yet published The Voyage Out, or married Leonard, or solidified her opinions about the writing of fiction. But Harris makes it clear that the deaths of Leslie and Julia Stephen had some sort of liberating effect. Had her parents lived into Woolf’s middle age, it is unlikely that Woolf’s genius would have bloomed. But the orphaned Woolf was able to “try out her identity as an eccentric lone thinker” without the familial obligations of a young upper-class woman. This segment of her life—as a single, ambitious twenty-something—feels refreshingly contemporary, and Harris adeptly wipes away some of the foggy mystique that too often separates Woolf from her readers. In short, this lucid and learned biography is a perfect little shot of Woolf: smooth, but warm and invigorating—not quite enough to get drunk on, but pungent enough to inspire a creeping flush. It is the perfect first stop for those interested in Woolf’s life and work, and a delightful read for those already in the know. Good things may come in small packages.